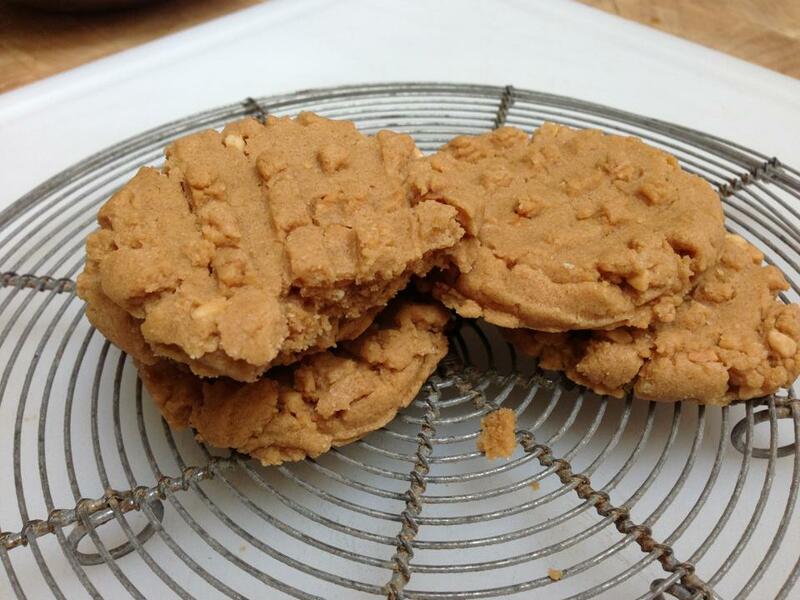 There are about 289,667 peanut butter cookie recipes on the internet. Many labeled “classic”. In my 50+ years of baking and experimenting, THIS IS absolutely the C.L.A.S.S.I.C. So easy, you can bake a batch in 30 minutes. 1. Combine the flour, baking powder, and salt in a small bowl. Set aside. 2. In a large bowl, with an electric mixer, beat together the butter, peanut butter, and both sugars until light and fluffy, about 3 minutes. Add the egg and vanilla and beat for 2 minutes. On low speed, gradually add the flour mixture, beating until the ingredients are thoroughly combined. 3. Using a 1/4 c. cookie scoop, form balls and flatten slightly onto an ungreased cookie sheet, 2″ apart. Using the back of a fork or potato masher, lightly press a crisscross pattern into each cookie. 4. Bake until the edges are lightly browned, about 12 minutes. Cook on wire racks. *I like using an organic, unsalted, less sugar peanut butter. It makes a dryer cookie with a finer crumb.